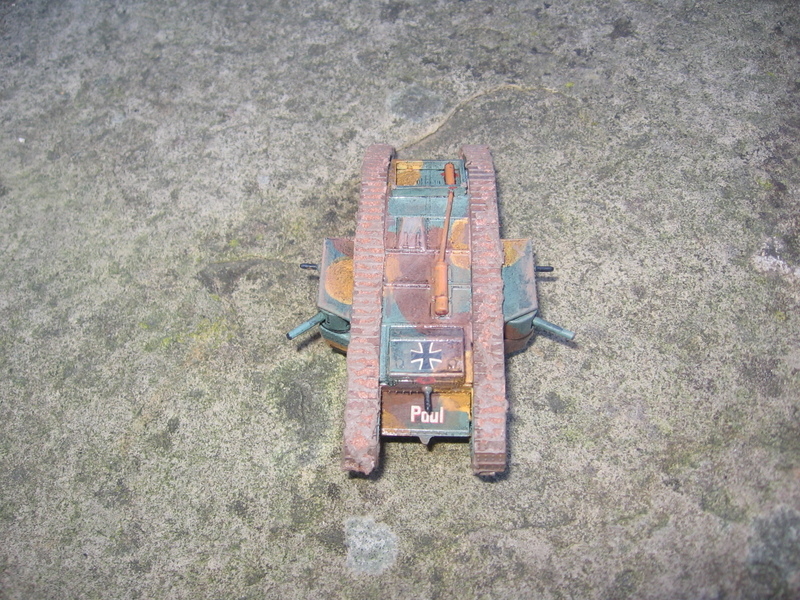 The Original Beutepanzer: WW1 MkIV in German colours. A cursory trawl about the internet seems to show that WW1 is a topic decidedly less popular than WW2 or moderns with the average gamer (the most obvious exception to the sweeping statement is the superb Roundwood’s World blog), this is true even for me. Though I do pick up bits from time to time and put them in a project box for later… I looked in it the other day it has a fair bit in now. One thing that I do enjoy is the early tanks, they tend to make it to the top of my painting queue fairly quickly. 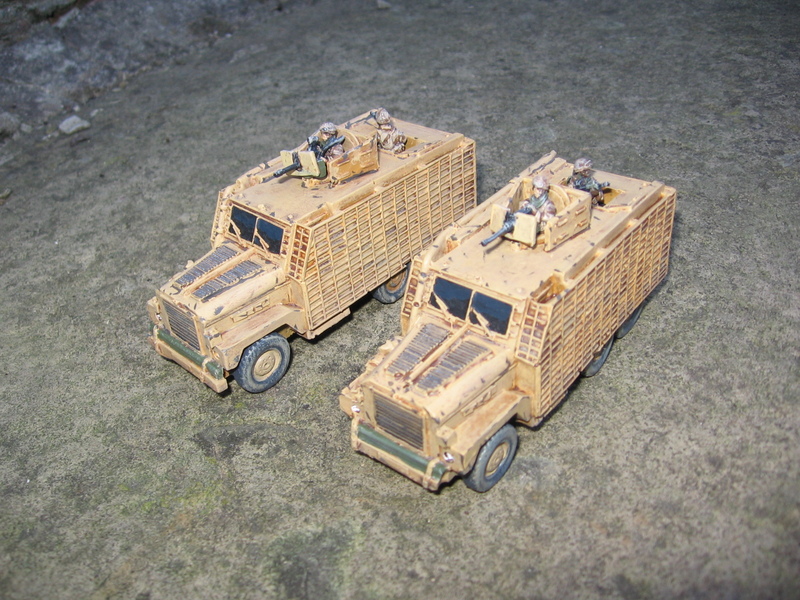 The great Emhar kit of the MK IV is no exception. Having already got a ‘male’ and ‘female’ example I decided to do this one as a captured one, using the decals from the kit. 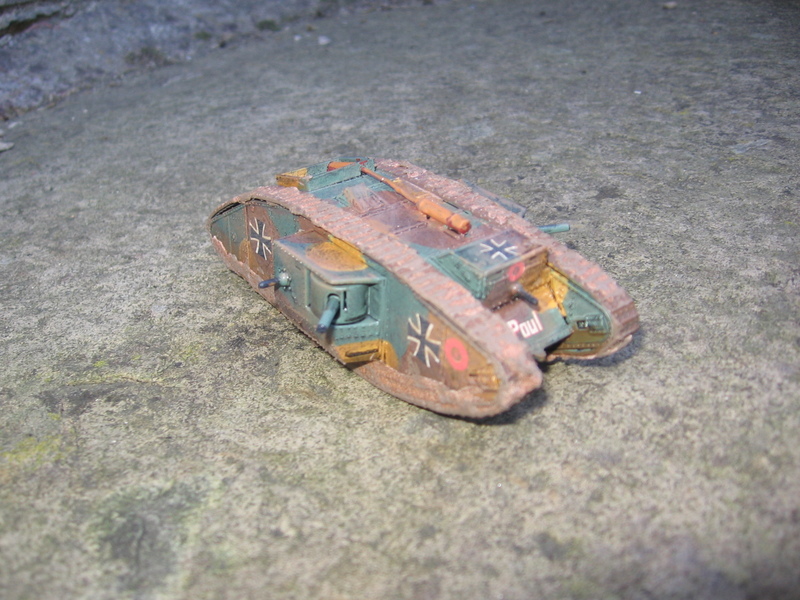 As it happens the Germans had more captured Mk IVs than they did of their own A7Vs. Pretty pleased with how this turned out- though the top rails broke so I left them off, no worries though. 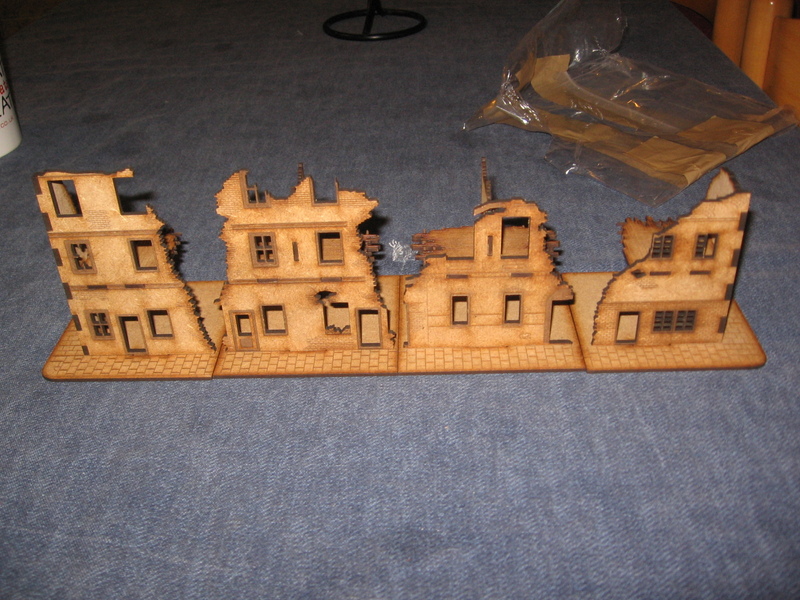 Update on the Laser cut buildings. 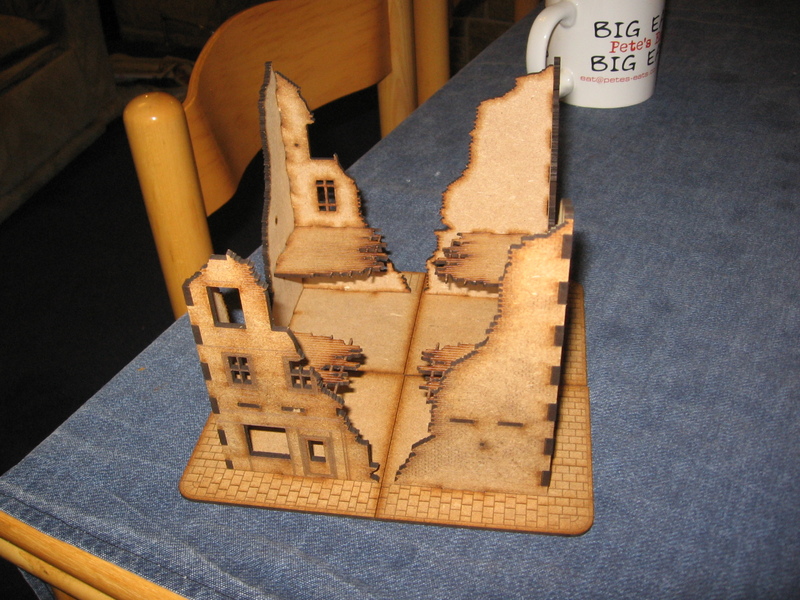 I’ve been working on the Laser cut buildings that I mentioned earlier. I decided to treat them like a kit to be added to rather than a finished item that just needs painting. Beside I find scenery construction on of the more enjoyable of my shed based activities. As you can see I’ve added quite a bit to them. 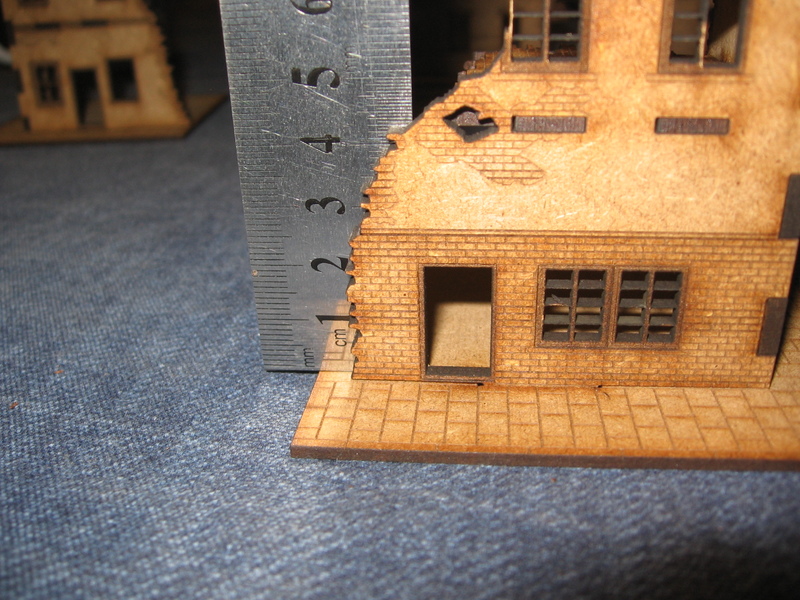 Extra floors were added with matchsticks and plasticard, the floors were also added with plastic representing either a stone floor or wooded boards, again in plastic. Items of furniture were either in white metal from CP or resin from Frontline. 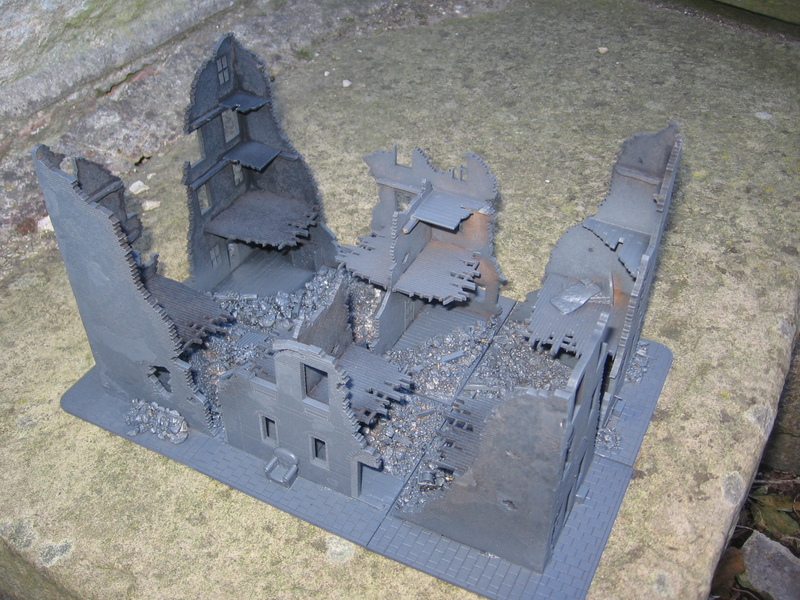 Extra bits of plastic came from the bits box. 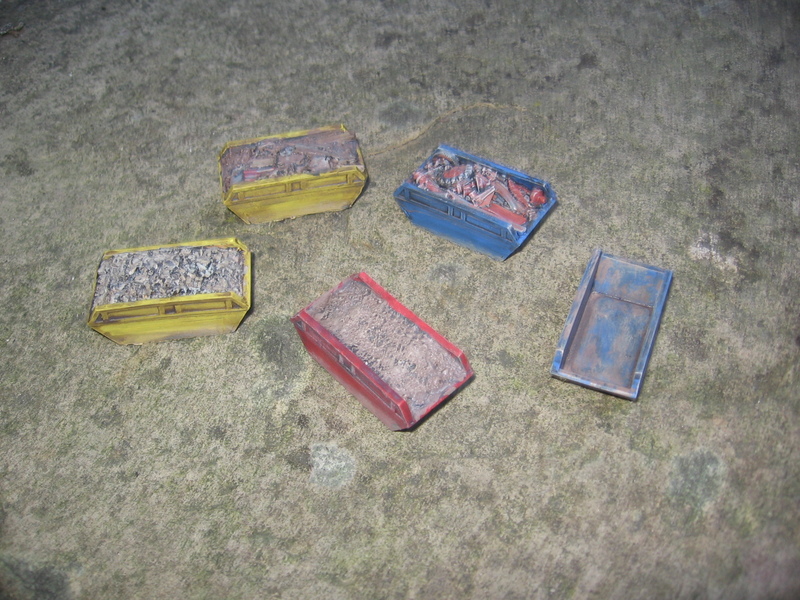 The rubble is a mixture of bird grit, more broken matchsticks and cat litter. I think that the group of 6 of them pushed together to make one building looks pretty good. Next step is to add some paint. 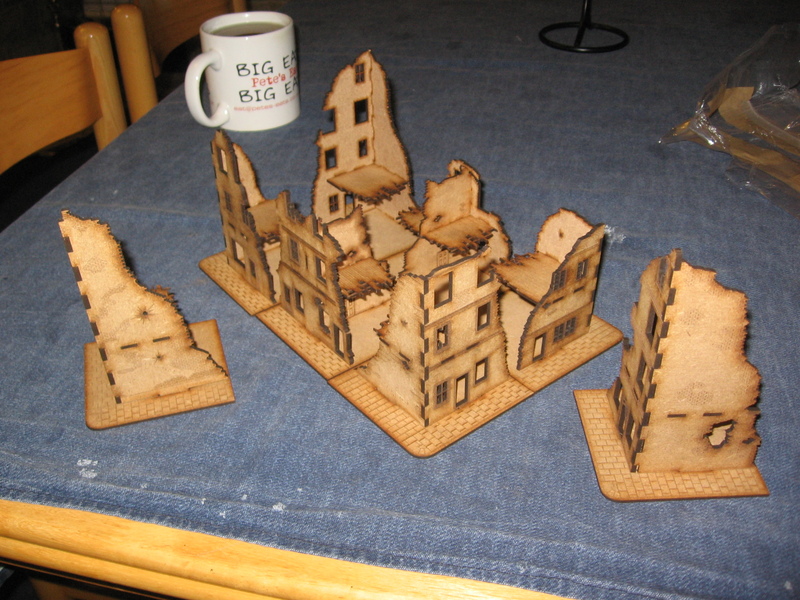 Earlier this year or may be last year I back a Kickstarter for some Laser cut terrain in 20mm. Whilst I am ambivalent about the whole concept of Kickstarter the Postman came along this afternoon with a small parcel of cut slightly burnt smelling wood and I rather pleased with it. The contents assembled- 6 corners and 2 middle sections. 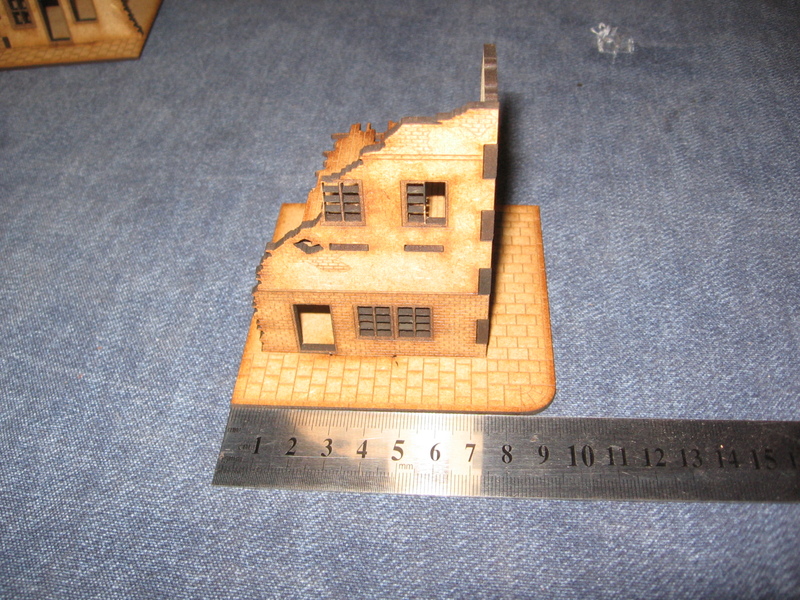 One corner laid out into its constituent parts. The fit is excellent on all the parts. 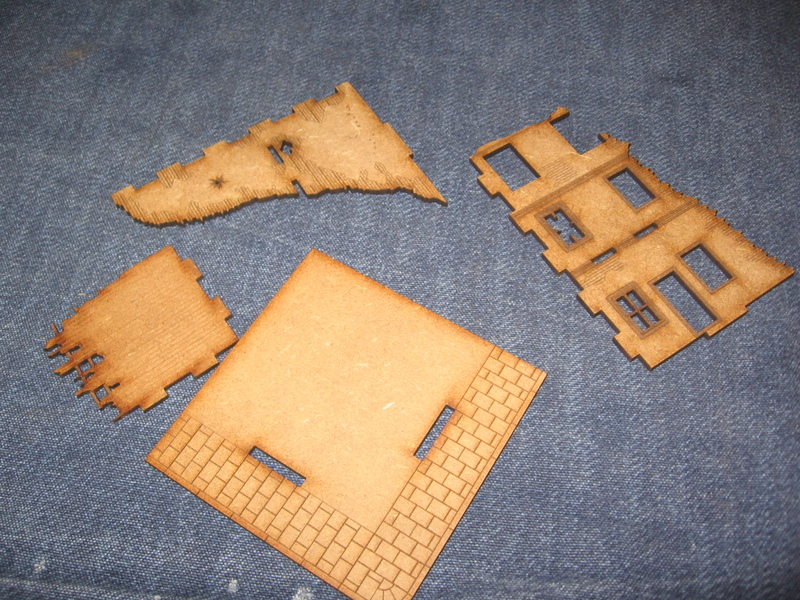 Four modules arranged into an open back row. A building made up of four modules. I’ll get the glued up and add a bit of detail, especially on the bases, a quick spray then they should paint up fairly quickly. I never got into Donald Featherstone when I was a child or teenager. Given my age when I started gaming at 11 in 1989 it was straight into GW stuff. However in recent years I’ve got back to see what I have missed- a phenomenal amount as I found out. Since then he has been a strong but belated influence. 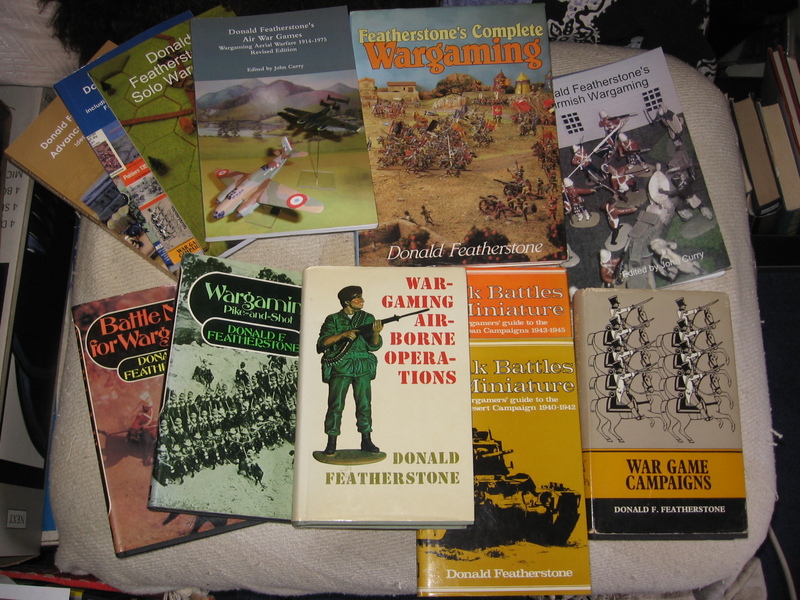 The history of Wargaming project has been re releasing his older work and best of all some completely new volumes. Like all of his work I recommend it unreservedly- in fact I pressure my friends in to reading them…. Mastiffs- The MRAP not the Dog. Sorry I know it’s another ‘from the shed’ post but I am rather pleased with how they have turned out. 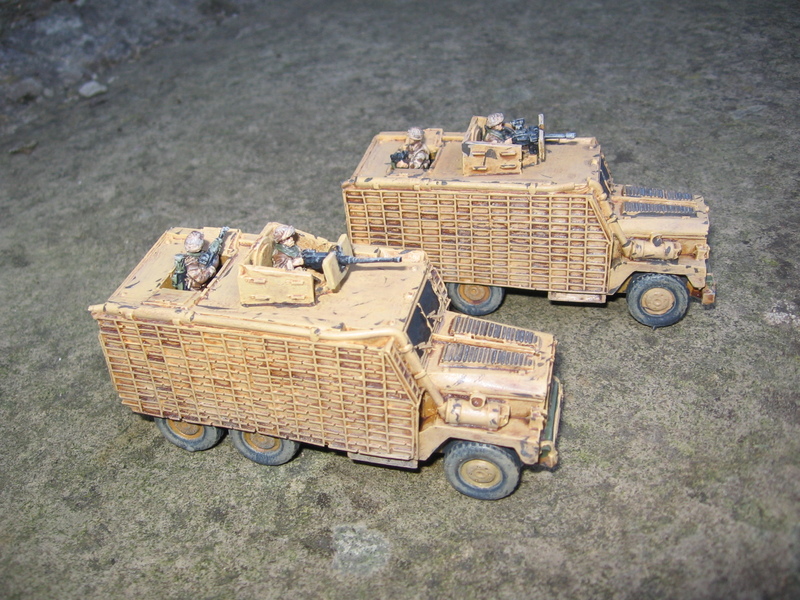 They are Britannia models in 20mm. 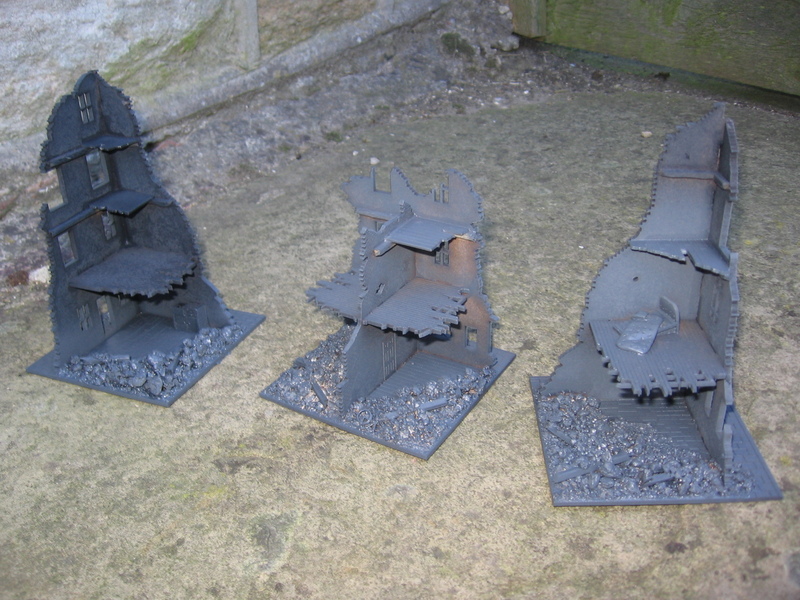 I’ve also painted some skips as scatter terrain. 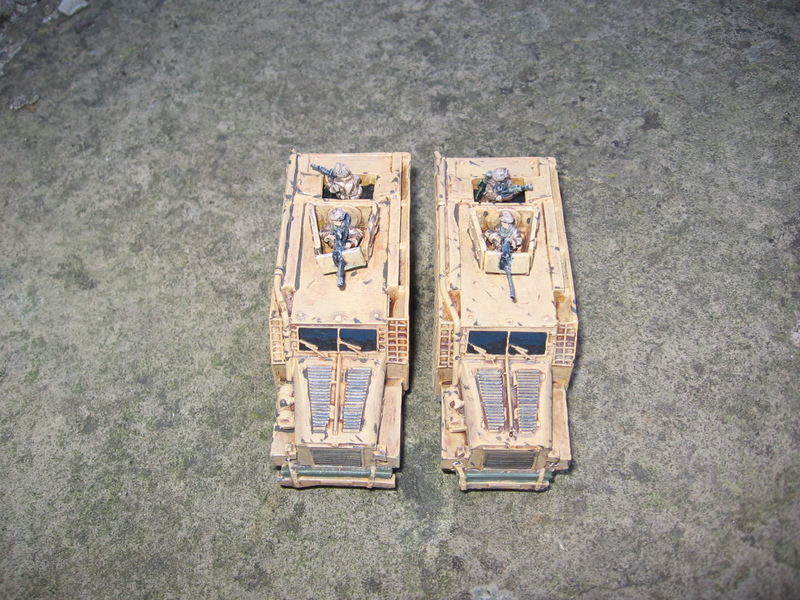 They are also 20mm but are from ‘The Scene’. I was hoping to have more lovely playtest reports for you but to be honest trying to run the game, deal with the inevitable rules quibbles and get the regulation 4 cups of tea per game down my throat it doesn’t leave much time to take pics. I’ve got a few which I’ll try and sort out and post up.